Posted in: Uncategorized. Tagged: 2016, art, books, creative writing, facebook, Fantasy, reddit, TWITTER, writing. Creative writing doesn’t get any better than this. British author Jonathan Green has now opened a kickstarter for an epic adventure book set in Oz. But this isnt a cover to cover read. You can assume the role of Dorothy, Scarecrow, Tinman or Lion and decide what happens during the story as choices are given to you. Illustrator Kev Crossley provides the artwork for this nightmarish adventure with a steampunk twist. Pledging towards the production costs in this crowdfunder will open up a choice of rewards, from a dedication in the book to a special hardback edition. To learn more, click this link here. 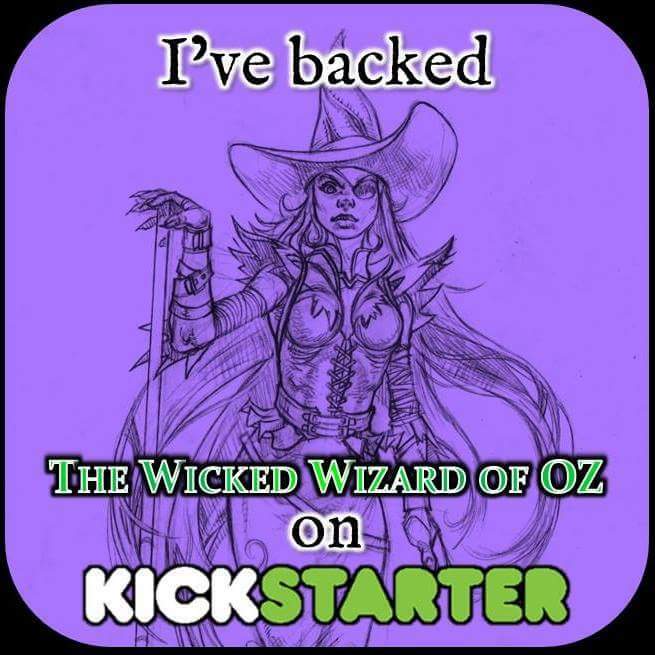 Could you face the Wicked Wizard Of Oz? Feel free to like and share and look out for the Facebook page and Twitter posts #WickedOz .